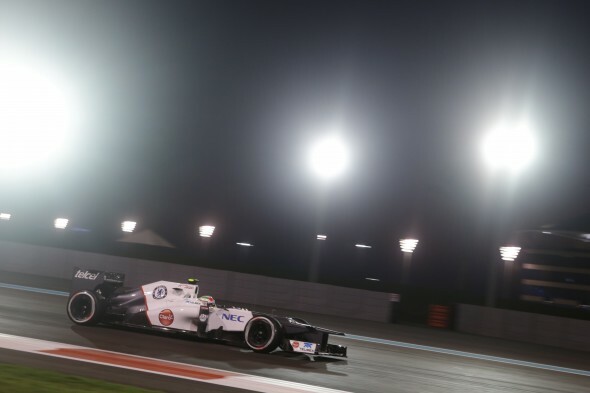 Pre-season, we predicted Perez to be the surprise of the season and so it proved, as his performances were sufficient enough to convince McLaren. 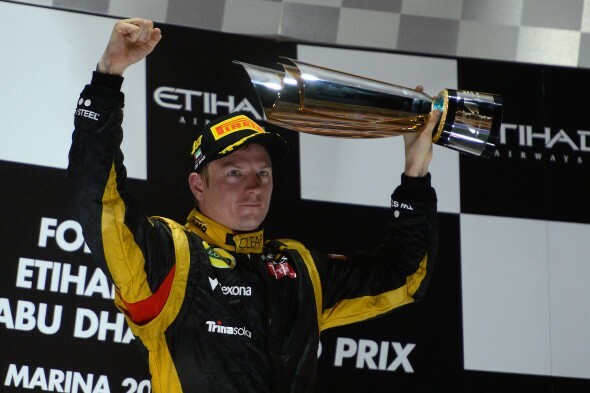 His drive in Malaysia was outstanding, as were his opportunistic podium finishes in Canada and Italy. What will be a concern was the way in which he ended the season amidst shards of carbon fibre, although whether that was the McLaren deal getting into his head only he will know. He was undoubtedly impressive in 2012, but there are still questions about his outright pace, especially in qualifying, and how well he can perform when tyres are less of an issue. High point: Strong race in Malaysia | Low point: Final seven races! 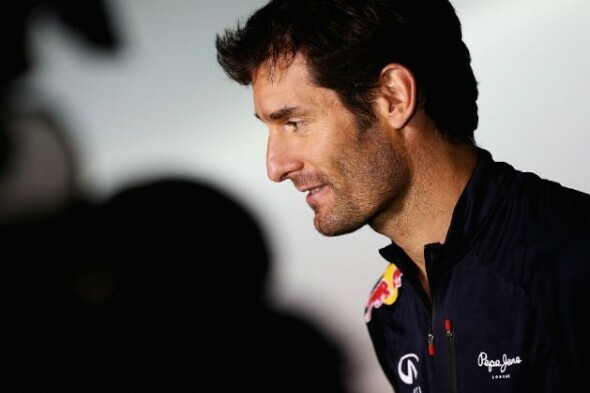 Webber is a no-nonsense character and even he will admit that his inconsistency in 2012 was a key weakness. He bounced back after a disappointing 2011 and his two wins in Monaco and Britain suggested that a title challenge was about to spark into life. A 2013 deal was sealed but his form – and fortune – dipped as he failed to mount the podium in the following six races. It wasn’t that Webber had a particularly bad season; far from it as his pace was stronger than in 2011, but in a competitive season he was frequently dragged into the midfield. Button may have won the bookending races in 2012, but his pace throughout the year was disappointing compared to his team-mate. Hamilton took seven pole positions yet Button was on top in qualifying only once. He may have finished only two points shy of Hamilton, but that is down to the misfortune of the 2008 champion rather than them being closely matched. 2012 did have high moments for Button, but they were few and far between compared to 2011 and he had seven underwhelming races before McLaren’s major upgrade in Germany. Once the team solved the issues with the tyres, he was back to contending at the front and that deserves recognition. Yet his races in Monaco and Canada were particularly perplexing, doubly so considering his usual mastery of the rubber. High point: Utterly dominant in Belgium | Low point: Montreal misery. There’s a saying that suggests you’re only as good as your last race, but placing Hulkenberg as the fifth best driver on 2012 isn’t an overreaction after the final race of the season. He was wonderful in Brazil, but it was a drive that had been coming all season, had you paid attention to the midfield. The season didn’t start strongly, but anyone who has followed Hulkenberg’s career knows that he usually takes around half a season to get up to speed. 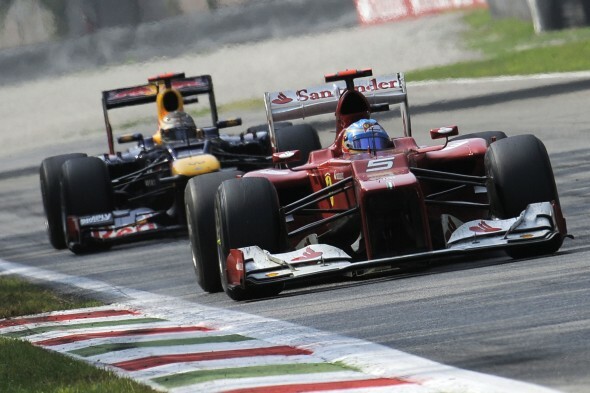 After a year on the sidelines in 2011, the German also had to adapt to Pirelli tyres, KERS and DRS. His season got going in Spain, but results wise he starred in Valencia and Spa, as well as the final six races (bar Abu Dhabi) of the year. Beneath the personable character is a fiercely talented racer, as demonstrated by his pace in the wet in Germany. His race results were frequently limited by the machinery at his disposal, meaning that his switch to Sauber will be all the more fascinating; the rules remain stable and many reckon the C31 would be a race winning car with stronger drivers. 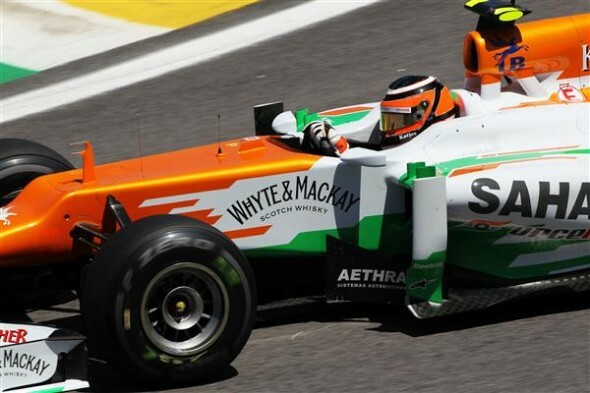 What odds on a Hulkenberg maiden win in 2013? High point: Leading the race in Brazil | Low point: First lap shunt in Australia. Raikkonen’s comeback was one of the highlights of the season, as although he lacks that final tenth compared to his McLaren years, he still has an abundance of talent at his disposal. He was the only driver to complete every race and astonishingly only one of those was outside of the points. If there were any problems in 2012 it was that it took him a while to get back up to his full racing potential – while the car was strong, which left potential wins in Bahrain and Spain slip through his grasp. A sequence of podiums mid-season saw him as a championship contender, but although he was back to his best, the Lotus E20 slipped back as Ferrari, Red Bull and McLaren all fought through to the front of the grid again. Another issue was his qualifying pace. He was beaten 10-9 by Grosjean, but more crucially it was those final few tenths that left him with too large a mountain to climb, especially when the Lotus was a race winning car in Bahrain and Hungary. That elusive win finally came in Abu Dhabi, complete with legendary radio messages, while his racecraft gradually improved. Moves on Schumacher in Belgium and Hulkenberg in Austin were out of the top drawer, but perhaps more importantly was his ability to avoid hitting things, especially as Lotus was frequently occupied with reattaching bits to Grosjean’s car! In a season that ended with Raikkonen getting lost in Brazil, both the Finn and Formula One perhaps realised that they are better off in each other’s company. If Raikkonen can improve his Saturday performances in 2013, there’s little evidence to suggests that a title tilt can’t happen. High point: Knowing what he was doing in Abu Dhabi | Low point: Midfield anonymity in Monaco. It does seem slightly crass to rank the triple world champion as the third best driver of the season. It doesn’t mean that he is an undeserving world champion, far from it, as it was his sheer bloody persistence that transformed his fortunes in the RB8 from challenger to untouchable. His drives from adversity in Abu Dhabi and Brazil were the hallmarks of a champion, while he was also robbed of a victory in Valencia. Damage limitation drives in Australia and Monaco also contributed to his championship, but there were just a few moments when points were lost. In a year when there were clearly three outstanding drivers, Vettel made a couple more errors than his rivals: was there really a need to put Alonso on the grass in Monza? It’s a testament to his attitude that he never gave up, even when he was facing a forty-two point deficit to Alonso mid-season. Championships ebb and flow and after twenty races he had a three point advantage over his great rival. The challenge now is to go and win a fourth title! High point: Racing through the field to his third title in Brazil | Low point: Alternator failure in Valencia. 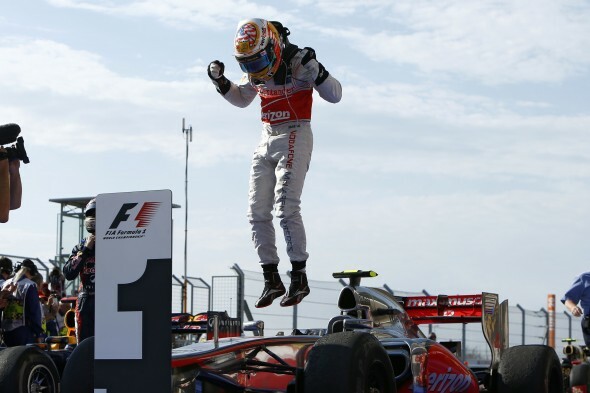 After an impetuous 2011 for Hamilton, he followed that up with his best year in terms of his driving. 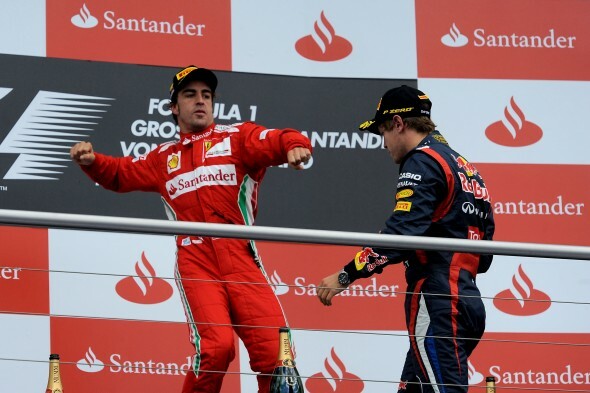 Save for a collision with Maldonado in Valencia and some silly Tweets in Spa, he was outstanding. Operational errors cost him a hatful of points early on in the season: pit stop problems in Australia, a gearbox penalty in China and then more pit issues in Bahrain. Nevertheless, the car was strong and he stayed calm. After the monumental failure in Spain, he bounced back to take points in the race before finally winning in Canada. The MP4-27 was a fast, but flawed car. He was unlucky to retire with a puncture in Germany, but that wasn’t the end of the problems. The gearbox failure in Singapore and fuel pump failure in Abu Dhabi saw two more wins slip through his fingers, while more points were lost through issues in Japan and Korea. There was a cruel irony that in a season of misfortune, a simple overtake in Brazil wiped him out of the race. In 2007, McLaren’s reliability was bulletproof. Five years later, that reliability was nowhere to be seen and it cost them one, if not two, world titles. It’s all too simplistic to add up the points lost and automatically assume that Hamilton would be world champion without any problems, but in a year where he was superb, McLaren were found wanting. Did those operational errors cost McLaren the services of Hamilton for 2013..? High point: Fantastic drive in Austin that led to victory | Low point: Among many, the retirement in Singapore that ended any title aspirations. In a sport where expectations of drivers are at an all-time high, Fernando Alonso’s 2012 season was as close to perfect as will ever be seen in Formula One. He was undoubtedly helped by McLaren’s struggles, but he came away from Brazil just three points shy of becoming a triple world champion. Alonso will look back and point to Belgium and Japan as the two decisive races in the outcome of the championship, but in reality it was a fight that Alonso had absolutely no right to be in. The car started the year as a Q3 challenger, with neither driver making the top ten in qualifying in Australia. Alonso nonetheless drove with resilience to arrive back in Europe with a real chance of the championship. It was at this point where Ferrari cost Alonso points due to a cautious, conservative approach after the apparent lottery of the opening races. 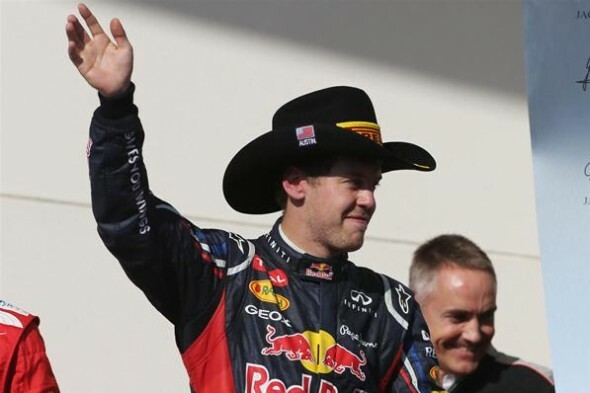 Alonso could have won in Monaco had they not pitted him too early, the wrong strategy was used in Canada, doubly so when Red Bull pitted Vettel late on, enabling him to jump the Spaniard. Alonso also should have won at Silverstone, after setting himself up with a brilliant pole position in the wet, but again the strategy fell short. That he never led another lap after his German victory highlights the shortcomings of the F2012, although his title challenge was assisted by the re-emergence of Felipe Massa. Qualifying was an issue but that was down to the car, a trait which in actual fact helped him in the race – note Ferrari’s outstanding DRS assisted straight line speed – although he frequently made brilliant starts to negate that particular problem. His car control is also superb: there was a moment during the Brazil finale where he exited Turn 3 and somehow, somehow, saved the car from a hefty shunt into the wall. He arguably should have been more cautious at the start in Japan, but in his situation, there will always be mistakes when fighting through the midfield to the front. That Japan was his only mistake only demonstrates his powers. What will now be interesting is to see whether Ferrari and Alonso can finally deliver that title – or whether the loss of 2012, as well as carrying the team in 2010 and 2011, will leave the Spaniard suffering from burn-out, as has happened with drivers in the past. High point: Emotional home victory in Valencia | Low point: First lap retirements in Belgium and Japan. Hamilton: "A victory I am least proud of"